Before we get started, let’s talk about using a computer versus a standalone recorder. Standalone recorders are great tools for recording on the go and are still a fantastic medium for field recording, but those recordings still typically end up in a computer for mixing and editing. Rode has come out with a handy little podcasting tool call the Rodecaster, which still plays by many of the same rules as the more widely employed method of recording on your computer, so most of what we discuss here will still ring true. 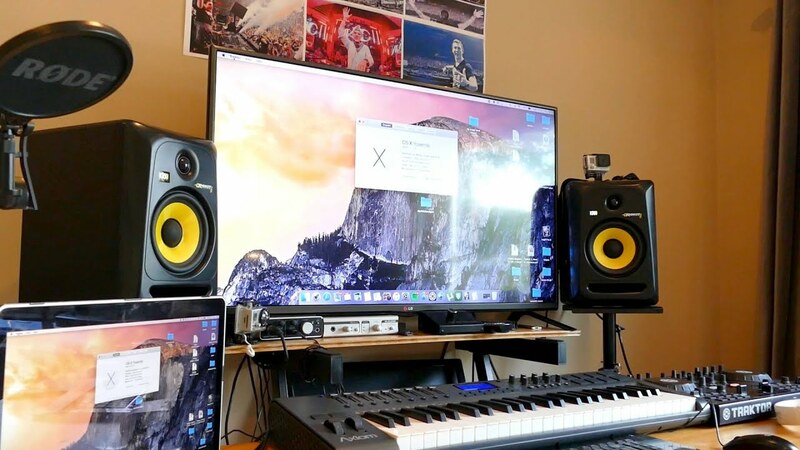 So, what do you need to start recording on your computer (besides a computer)? Let’s take a look! Unless you’re into the whole “interview on Skype” sound, you’re going to want a better microphone than what is built into your computer. The right microphone will help eliminate unruly room sounds by allowing you to get closer to the mic, preventing it from picking up the reverberated sound in your un-treated room. Most microphones use a standard output jack called XLR, which requires something called an audio interface (we’ll talk about these next) in order to plug into your computer. While this style microphone is generally the more professional option, sometimes having the additional equipment to plug in is overwhelming for the novice home recordist. If that sounds like you, maybe a USB microphone would be more your style. The main advantage to a USB microphone is that there are no additional connections or pieces of hardware you need to worry about, however your computer can only recognize one USB microphone at a time, so interview situations for podcasters are essentially off the table this way. As mentioned in our microphone segment, an audio interface allows you to plug multiple audio sources into your computer simultaneously. Think of it as an external audio card that connects to your computer through USB or Thunderbolt. This is useful for recording a podcast with multiple people involved, or for recording drums or acoustic guitars where more than one microphone is needed at a time. There is a variety of recording software, or DAWs (Digital Audio Workstation), ranging in price from free of charge to thousands of dollars, all with their strengths and certain drawbacks. While Pro Tools by Avid is widely regarded as the industry standard, there are lots of great competitors in the mix, and most will grant you a 14 to 30 day free trial to help you nail down which software makes the most sense to you. Regardless of what you’re recording, headphones are critical for monitoring your recordings. This is how we make sure that we’re getting good tones without any noise or distortion. If you’re a recording musician, headphones are how we listen to the metronome and backing tracks during recording, since using speakers would lead to the microphones picking up unwanted sounds and ultimately result in noisy tracks. “Studio monitor” is the name we’ve given speakers in the recording world. This is how we feel special and like we’re part of an exclusive club that requires a password to enter. Aside from making you feel like a super cool member of a secret society, studio monitors are also crucial in the mixing phase of recording. When mixing, it’s important to hear sounds as they are, not as you’d like them to sound, in other words, accuracy is the goal here. Accuracy in audio is gauged by how evenly the speakers reproduce individual frequencies across the audio spectrum. Headphones won’t cut it here because they struggle to accurately reproduce bass frequencies. Sound like a lot? Well, it is! That’s why we exist, to help you navigate the murky (at best) waters of recording. Check back for more in-depth information on each of the 5 topics we’ve touched on today.